I want to show you through this page that you can do a lot more with rice steamer than only steamed white rice. 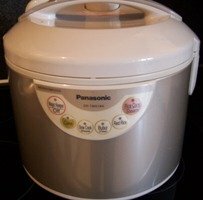 The micro computerized rice cooker is very useful kitchen utensils, especially if you use it to make Indonesian foods which are take a lot of time to cook and an ideal utensil to make various porridges. But don’t use this to bake your cake, the result would be disappointed if you get use to bake it in the oven. The cake wouldn’t be that good. If you intend to use this rice cooker to bake your cake, don’t buy it. It’s wasting your money. But to make dishes and porridge, it’s perfect. 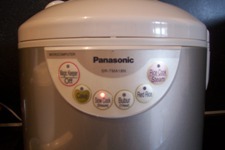 Maybe you have another experience with baking cake in this rice cooker, please let me know through my contact page. I certainly love to hear another experience which I can certainly learn from it. What you need to do to make dishes in the rice cooker is to put all the ingredients that you need for the dishes in it and close it and push the correct button, and the rice cooker will do the rest for you. You don’t have to be at home or present in the area. While the dish on cooking, you can do shopping or going to supermarket or playing with your children without to worry about that your dish will get burn. Don’t put too much water or other liquid in this. The enclosed rice cooker will retrain heaps. This means that this will behold your nutrient value of your dishes. While if you use regular pan the liquid will less after time cooking and you have to add some water if you don’t want that your dish get burn. I have this rice cooker for three years now and it spare a lot of my time and it makes cooking much easier and much fun. And maybe if you use it after time, you’ll discover a lot more advantage of this rice cooker. First, make the spice paste as the instructions in the recipe. Then bake the spice paste in the hot vegetable oil or sesame oil then set aside. 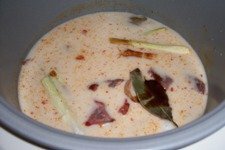 Put the meat, the spices, the paste, and coconut milk in the rice cooker. Close it and push the long cook button (3 hours cooking). Done. Tips: Use the half of the amount of the liquid from the regular recipe if you use rice steamer to cook.